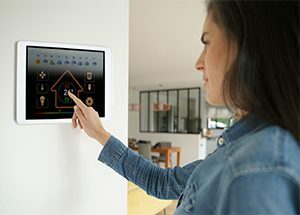 Parks Associates’ “Technology Convergence and the Smart Home” report shows that US broadband households own more than 10 connected devices such as connected CE, smart home, and connected health devices. Smart home purchasing intentions increased from 21% at the beginning of 2014 to 43% at the end of 2018. 30% of computing and entertainment device owners reported experiencing wireless connectivity issues. Routers tend to be a common source of the problems. 67% of consumers consider home entrance alerts the most appealing feature in home security systems. Privacy and security continue to be a concern among consumers with 75% expressing the desire to control their personal data and 45% being “very concerned” about hackers tapping into their connected devices. For more information from Parks Associates, click here.